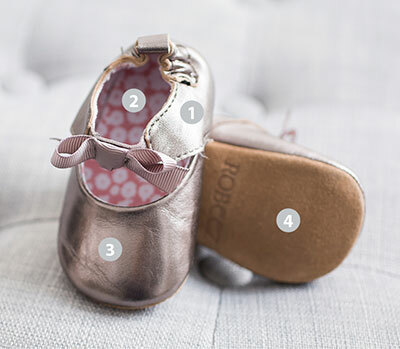 Blush pink leather ballet shoe with tassel and suede sole. Flexible soles and cushioned foam insoles provide protection and comfort for healthy foot growth. Elasticized ankle design ensures they stay on little feet. Runs true to size.